Good morning. It's Tuesday, Sept. 18. • A surprise marriage proposal steals the show at the Emmys. • A sheriff’s deputy is killed by a gunman near Sacramento. • And the L.A. Philharmonic readies its most ambitious season. Glenn Weiss called his girlfriend, Jan Svendsen, to the stage at the Microsoft Theater in Los Angeles on Monday. Gov. 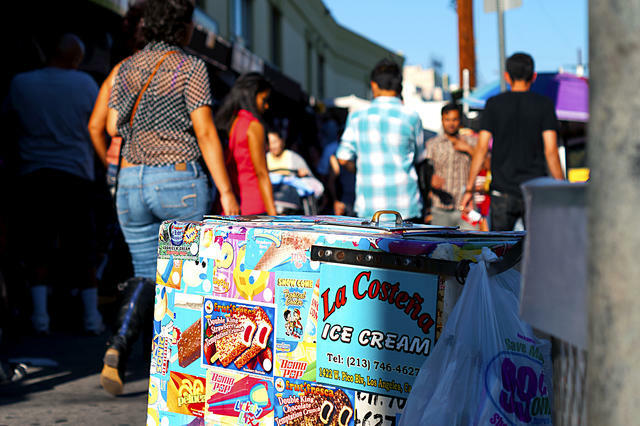 Jerry Brown signed a bill decriminalizing sidewalk vending. For years, thousands of vendors have operated in a legal limbo in cities that have failed to set up permit systems. The legislative effort was in part a response to President Trump's vow to deport unauthorized immigrants with criminal records. Many vendors are immigrants and an unknown share are undocumented. Tooth decay in California outpaces other states. At a dental clinic in Long Beach, children as young as two years old show up with blackened teeth in need of whole mouth restorations. "It’s rampant and it’s really a disaster to see," a dentist said. That's one reason the state is now overhauling its low-income dental program. 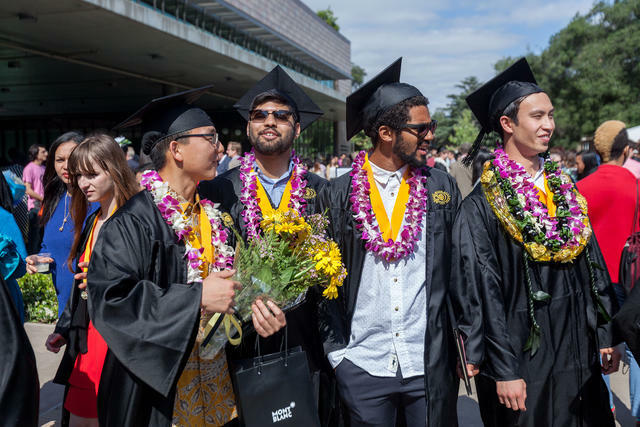 Harvey Mudd graduates at the commencement ceremony last May. A study ranked colleges by the starting salaries of recent graduates. No. 1 in California — and No. 2 nationally — was Harvey Mudd, a private liberal arts college in Claremont. Rounding out California's top five were California Institute of Technology ($78,800), Stanford ($73,3000), Loma Linda ($66,400), and U.C. Berkeley ($65,400). Ajit Pai, chairman of the F.C.C., is ticked off over California's net neutrality legislation, which is designed to ensure equal access to the internet. Pai called it "a radical, anti-consumer internet regulation bill" that's being pushed by "nanny-state California legislators." In response, state Sen. Scott Wiener, the measure’s sponsor, basically called Pai an industry shill. Deputy Mark Stasyuk had been with the department for nearly five years. A Sacramento County sheriff’s deputy was killed and another was wounded as they responded to a call about a disturbance at an auto parts shop near the capital city. As they arrived, the suspect opened fire without warning. He was later taken into custody. 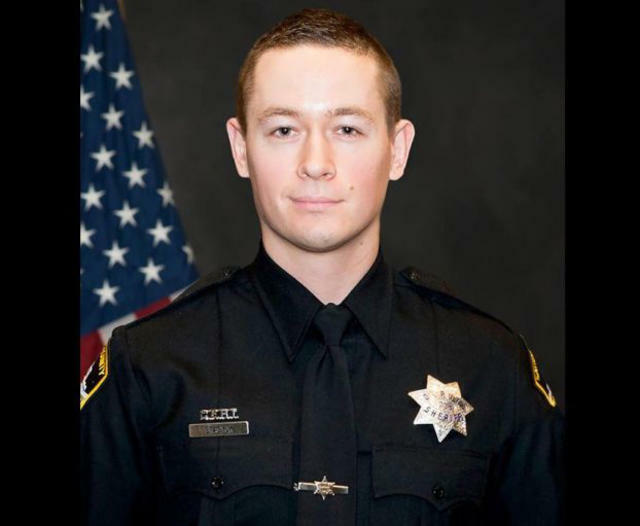 Deputy Mark Stasyuk was 27. Flags in the Capitol were to be flown at half staff. Christine Blasey Ford told a friend in 2017 that she had been assaulted by a federal judge. Blasey Ford will testify next week on Capitol Hill about her accusations against Supreme Court nominee Brett Kavanaugh. A friend said the Bay Area professor was well up to the task. "She’s one of those people who teems with honesty and truth. She’s just that person." 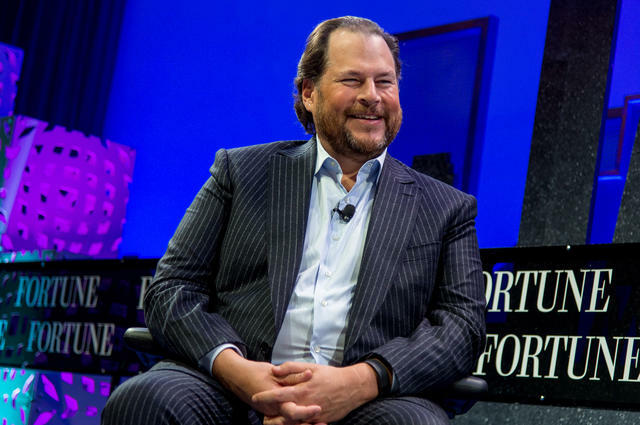 Jeff Bezos, Laurene Powell Jobs, and now Marc Benioff. The Salesforce C.E.O. became the latest tech figure to snap up a media company, buying Time for $190 million. Texting with a N.Y. Times reporter while getting a massage, Benioff characterized it as something of an impulse buy: "I didn’t realize two weeks ago I was going to buy Time." The Bay Area’s red-hot housing market appears to be cooling, and it's more than just a seasonal slump. Median sale prices for single-family homes have been falling since March in Santa Clara County. One real estate agent described slashing the price on an Oakland home — twice — the first cuts he had made since 2009. 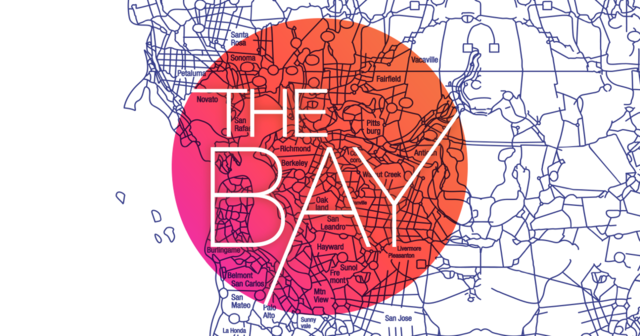 I’ve been loving KQED's The Bay, a new podcast that tries to make sense of the Bay Area — one story at a time. Their latest episode explores the life of one of Silicon Valley's founding fathers, William Shockley. Regarded as a genius, he was also a racist who promoted sterilizing black people. Yet a monument to Shockley's work was just unveiled that ignores all that. The number of young people behind bars in California has quietly plummeted over the last decade — so much so that juvenile halls and camps stand at unprecedented levels of emptiness. Researchers cite falling crime rates, more money for prevention, and a changing juvenile justice culture. San Diego County’s four detention facilities can hold 855 young people. On a recent day, there were just 311. Denise Mueller-Korenek rode behind a modified pace car. A San Diego woman just bicycled 183.93 miles per hour, becoming the fastest human on a bicycle. 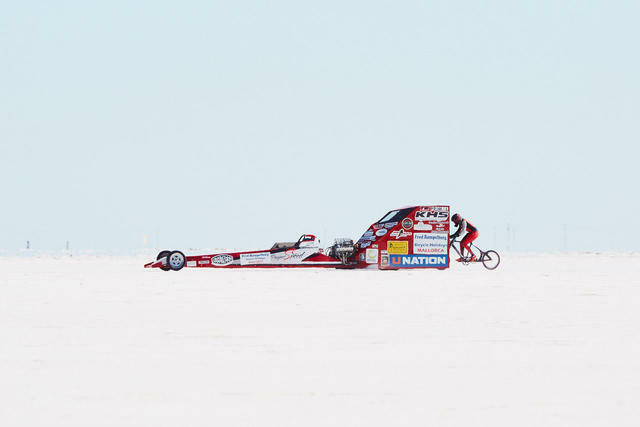 Denise Mueller-Korenek — a 45-year-old mother of three — smashed the world record using a specially equipped bike tethered to a pace car on the Bonneville Salt Flats in Utah. Pulled at 100 MPH, she detached from the car then rode under her own insanely fast speed. 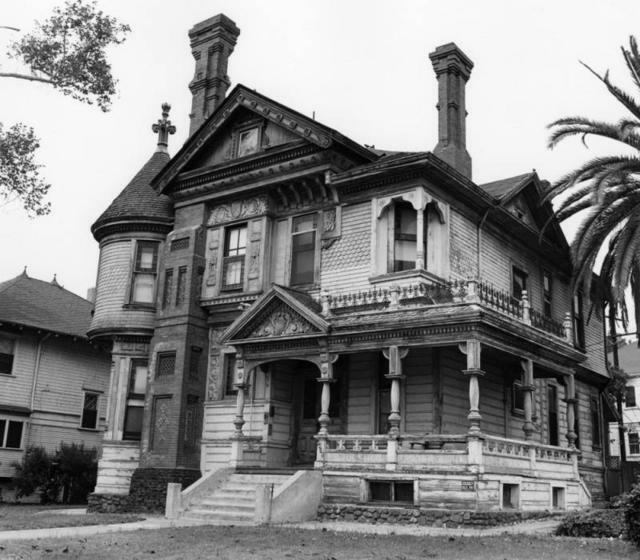 The Hale House on Pasadena Avenue in an undated image. It was later moved to Heritage Square Museum in Highland Park. The Hale House, a Queen Anne-style Victorian mansion built in 1887, has been described as the most photographed residence in Los Angeles. It's included in a list of five places in Southern California where you can still explore the Victorian era. 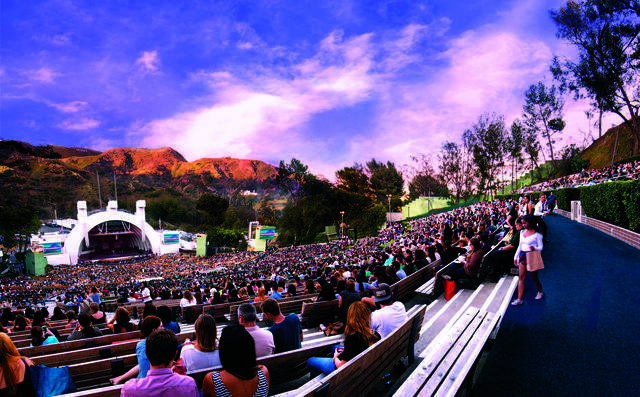 A daylong kickoff event will culminate with a free concert at the Hollywood Bowl on Sept. 30. The Los Angeles Philharmonic is celebrating its centennial with a genre-crossing season that includes major projects from music director Gustavo Dudamel and three of his predecessors, Prokofiev's ballet "Romeo and Juliet," and an epic free celebration on Sept. 30 with hundreds of performers. An L.A. Times critic declared, "No orchestra has been this ambitious, ever." 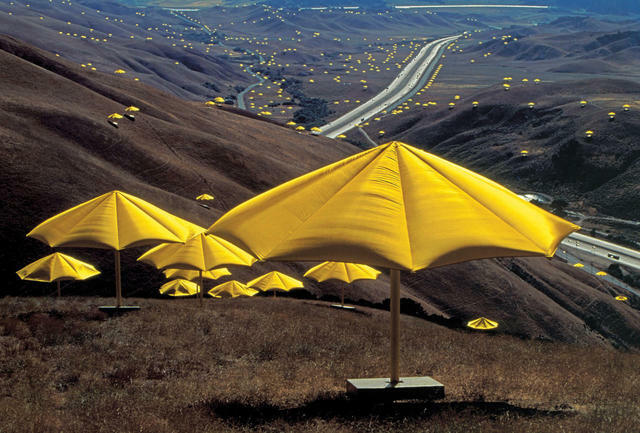 • In 1991, more than 1,700 giant yellow umbrellas were installed along the straw-colored slopes of Southern California. The temporary art project along the Grapevine was the brainchild of the Bulgarian husband and wife artists Christo and Jeanne-Claude. Skeptics grumbled at the proposal. But once in place, the whimsical display of 20-foot-tall nylon-and-aluminum umbrellas won many locals over. A companion installation in Japan used blue umbrellas. Christo once called it "a symphony in two parts." But it also turned out to be a tragedy in two acts. A fierce wind uprooted one of the 490-pound umbrellas, crushing a Camarillo woman to death against a boulder. Christo ordered the whole thing taken down. During the dismantling in Japan, a crane operator was fatally electrocuted by contact with a power line. 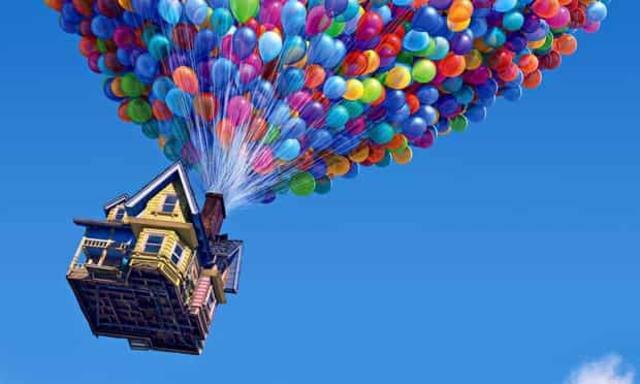 "Up" is about loss, regret, and adventure. • In 2009, a 10-year-old girl who was stricken by cancer and deteriorating rapidly had a dying wish: She really wanted to see "Up." The Pixar movie was only in theaters, but Colby Curtin was too ill to leave her Huntington Beach family's house. After some frantic calls, a Pixar employee was dispatched by plane with a DVD in hand. "Do you think you can hang on?" Colby’s mother said to her, the O.C. Register reported. "I’m ready (to die)," the girl said, "but I’m going to wait for the movie." 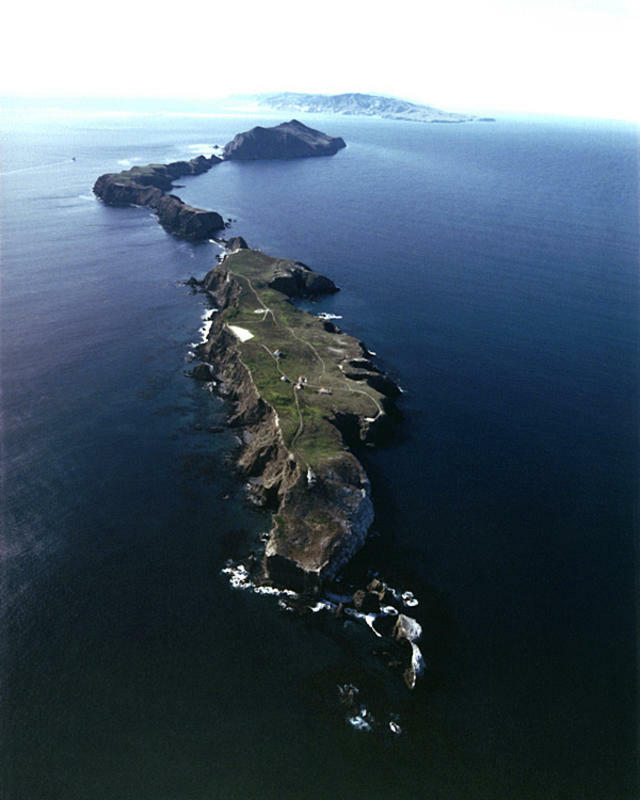 An aerial view of Anacapa Island with Santa Rosa Island in the distance. They were once part of a single large island. • There's a "super island" lurking beneath the ocean's surface off Southern California. Santarosae Island was mostly submerged by rising seas during the waning of the last ice age. The northern Channel Islands — San Miguel, Santa Rosa, Santa Cruz, and Anacapa — are remnants of what was a single ancient landmass that stretched nearly 80 miles from east to west. One of the oldest known human skeletons in North America — the 13,000-year-old Arlington Springs Man — was found there. Indigenous people lived among pygmy mammoths and thrived on a bounty of acorns, seaweed, fish, seals, and waterfowl.